Business partners, employees, and agents of AXA Philippines, one of the leading insurance companies in the country, gathered for the inauguration of the state-of-the-art AXA Academy, housed at the 11th floor of the Bank of Makati Building on Ayala Avenue extension in Makati City. At almost 1,000 square meters, the AXA Academy serves as the training facility for AXA agents and employees, driven by its aim to elevate the training of local insurance professionals to an unmatched level of excellence. 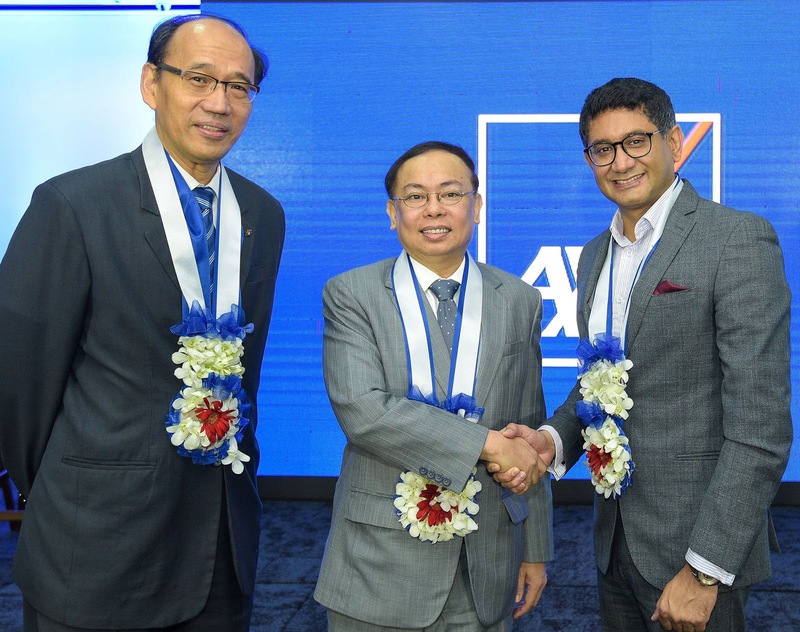 Leading the inauguration rites were (L-R) AXA chairman Solomon Cua, Insurance Commissioner Atty. Dennis Funa and AXA president and CEO Rahul Hora.